Sweeten your relationships by sending this Tropical Sincerest Thanks White Roses N Fruits Gift to your close ones who deserve your love. This Hamper overflows with 1 Kg Fresh Fruits with Twelve White Roses. Send this Touching Basket of 1 Kg. 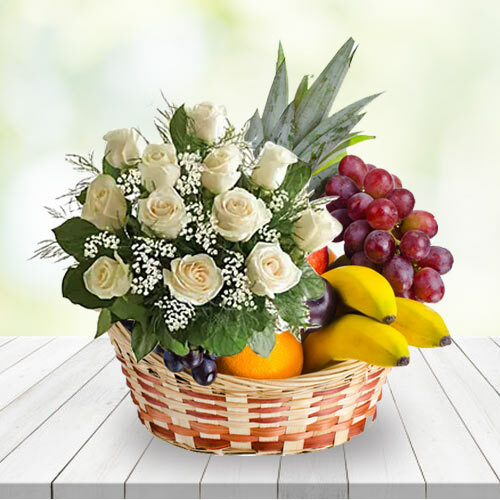 Fresh Fruits with Two Dozen White Roses Bunch that paves a wonderful way to show someone you�re thinking of.